There is always joy and peace in the house of the Lord. That spirit could be felt as the congregations joined KPPI (Praise and Divine Healing Service) that was held on Thursday, September 13, 2018. The service was also aired through Live Streaming Program on Facebook. Besides, there were many groups watching it at their homes in many cities in Indonesia. Many that came to the service had problems and struggles, but there was always a hope in the Lord Jesus Christ. Rev. 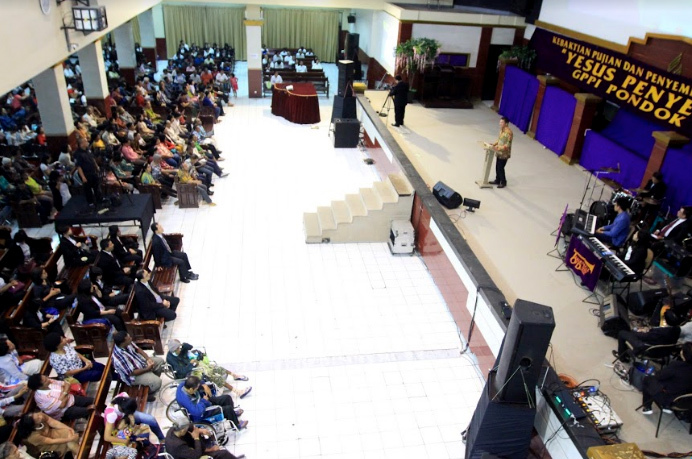 Togu Hasiholan led all the congregations to praise and worship the Lord with joy. All the hope and faith in the Lord will never be in vain. 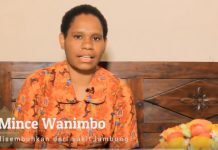 A healing testimonial film was aired about Eko Manaku who had broken backbone caused by falling down from 3 meters high wall. He came from Jayapura and had to undergo a surgery in Jakarta. But before he got operated, the team of KPPI invited him to come to KPPI. When he was prayed, all his pain disappeared. He was healed totally. He could move normally and also take off the supporter he wore. Praise the Lord. This testimony really strengthened everyone who watched it. Another healing testimonial film was aired about Merisa Lasse who suffered from stone kidney and caused her to undergo dialysis every week. She was prayed in KPPI and Jesus healed her. Rev. Jacob Sumbayak delivered the Word of God from Mark 2 :13-17. It was about Levi, the tax collector who became the follower of Jesus. Levi who was also called Matthew became the disciple of Jesus. This caused the Pharisees questioned Jesus why he sat down and had dinner with a sinner. Often times Jesus was seen with many sinners, just like the tax collector and the sinful woman. Matthew 21:31 Which of the two did the will of his father?” They said to Him, “The first.” Jesus said to them, “Assuredly, I say to you that tax collectors and harlots enter the kingdom of God before you. Jesus came to seek and save the sinners, just like Levi, Zacchaeus, and the sinful woman. The sinners who believe in Jesus will be saved, because Jesus with his great love had given His life and died on the cross to save the sinners. A call to receive Jesus as their personal Savior was given. Many raised up their hands and were led to pray. 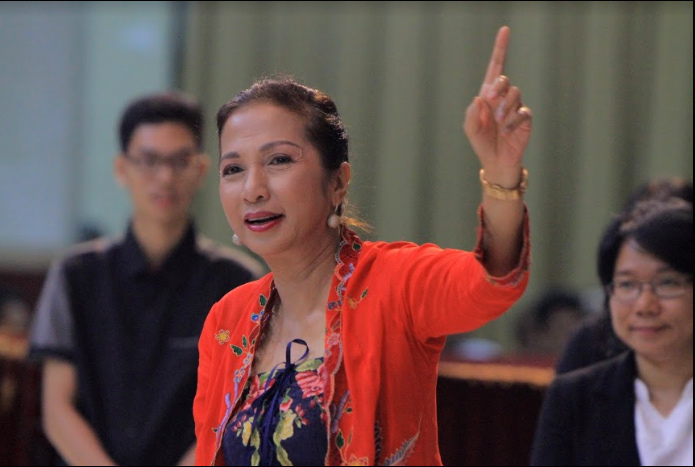 After that Susan Sumbayak called the ones who got kidney problem to step forward to be prayed. Healing prayers were lifted up by Rev. Hezel Sumbayak, Rev. 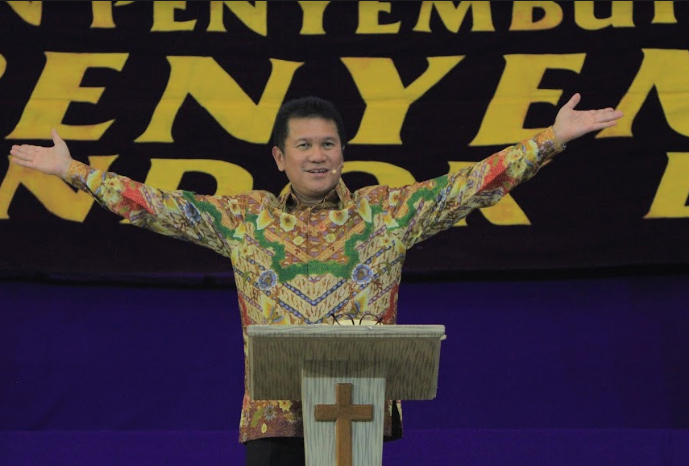 Yohanes Nugroho, and Rev. Joseph Batubara. All counselors and prayers were asked to come forward, and also all the sick people. They prayed for the sick one by one with all their hearts. God answered their prayers. Many healing miracles took place. 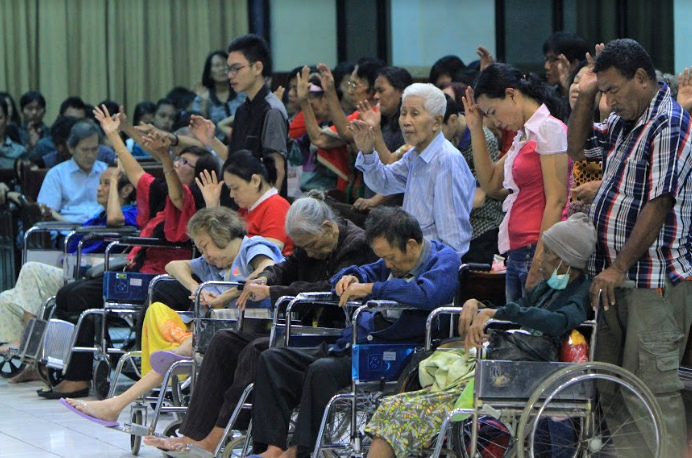 They were healed from cramp on the stomach, heart sickness, kidney problem, osteoporosis that caused difficulty to walk, gout, lung problem, HNP, nasopharynx cancer, and many other sicknesses. Miracles also took place to they who watched this service through live streaming. 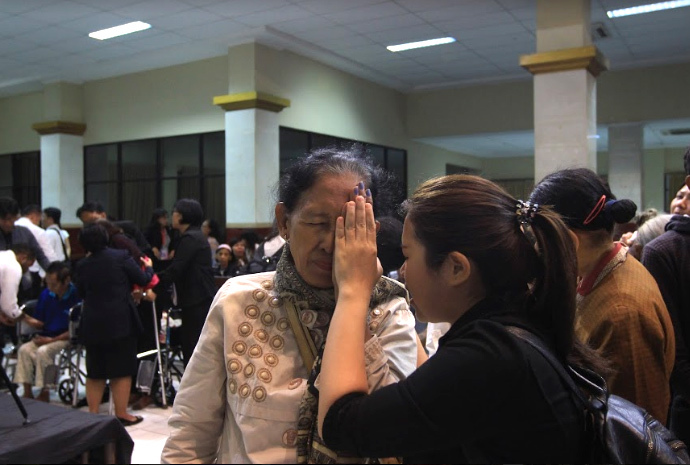 Someone was healed from hemorrhoids in Sabah, Malaysia. Some others were healed from hearing problem, polyp, and lump that disappeared when they were watching KPPI through Live Streaming. Jesus never changes. He is still the same, today, yesterday and forever. The service was ended with a call for anybody who had the desire to serve the Lord. They who raised up their hands moved forward to be prayed. 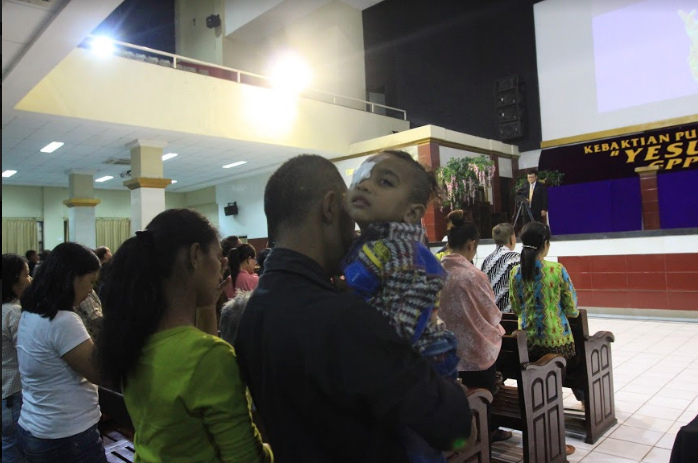 At the end of the service, everyone was reminded to return back to their own church and diligently ministering there. 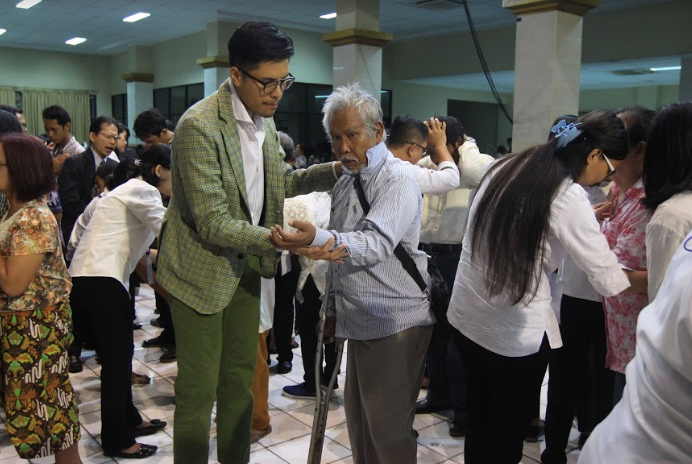 KPPI (Praise and Divine Healing Service) is an interdenominational service that has been held since 1993 and was conducted by GPPI Pondok Daud Jakarta.